Roshen Corporation has decided to stop the production activity of Lipetsk confectionery factory, a statement says. 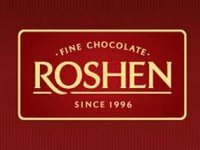 "The corporation Roshen stops production activities of Lipetsk Confectionery Factory. This decision was made for economic and political reasons. Full production stop and maintenance of industrial and infrastructure facilities are planned for April 2017," the report says. As noted, the seizure of property of the Lipetsk confectionery factory, imposed by the Investigative Committee of the Russian Federation under a criminal case, made it impossible to sell the factory. "Starting from 2013, production at the Lipetsk confectionery factory was reduced thrice. The reason for this was the sharp decline in the range of goods after the unjustified ban of Rospotrebnadzor (Russian Customer Surveillance) in 2013 imposed on import of Ukrainian Roshen products to the Russian Federation and active discrediting of factory's activities in Russian and Ukrainian media. Also,the authorities in some regions put pressure on the trade organizations for the sale of products of the Lipetsk confectionery factory. The decrease in the overall level of purchasing power is another reason for the factory's shut down in Lipetsk," a statement says. According to the corporation, in relation to the production decline at the said confectionery factory, massive personnel reduction was constantly going on. The remaining employees in the amount of about 700 people were already notified of the upcoming enterprise stop. The required notification of a massive reduction will be filed to the Lipetsk center of employment in the near future. The Roshen Corporation, one of the largest Ukrainian confectionery manufacturers, including Kyiv, Mariupol (Donetsk region), Kremenchug (Poltava region) and two Vinnytsia confectionery factories, Dairy Plant Bershadmoloko and Litinskplemzavod (both based in Vinnytsia region). It also runs confectionary facilities in Klaipeda (Lithuania), Lipetsk ( Russia), and Bonbonetti Choco (Hungary). The owner of the corporation is President of Ukraine Petro Poroshenko. During the election campaign he promised to sell Roshen, hiring for that the investment firm Rothschild and Ukrainian investment group Investment Capital Ukraine (ICU). However, due to lack of buyers, the contract was signed in January 2016, in accordance with which Poroshenko gave his share of the corporation to an independent blind trust. The Bank Ruling Trust has a four-year-old proxy to negotiate the sale of assets.